There are few things worse than rain on your wedding day! Falling rain can ruin your dress, hair and makeup, damage your perfect centrepieces, soak your wedding linens and force you indoors when all you wanted was a beautiful outdoor wedding. Just get wet — Why not allow yourself to get wet when the rain falls? 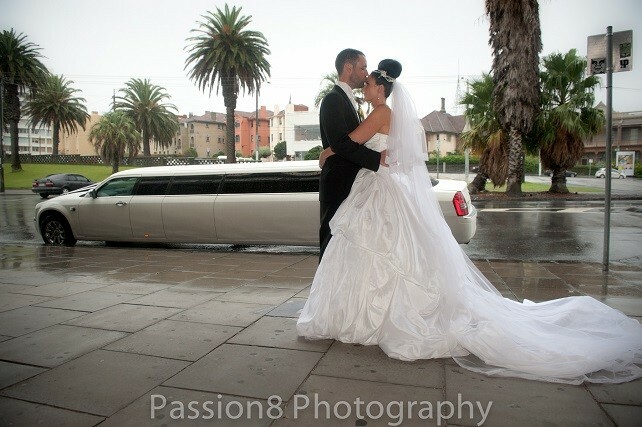 Taking pictures out in the rain makes for some artistic wedding shots and you’ll love how cool and relaxing it can be! Just make sure you own the tux and wedding dress (you don’t want to have to pay stiff fees on a soaking wet rental) and have a change of clothes handy for when you go inside for the wedding reception. Use umbrellas –– Getting married under an umbrella is a very personal, very intimate thing. The fact that the two of you are alone under an umbrella sort of isolates you from everyone around you, and it’s just you on your wedding day. No one else will be able to hear your vows thanks to the falling rain, but who cares? It’s all about the two of you! 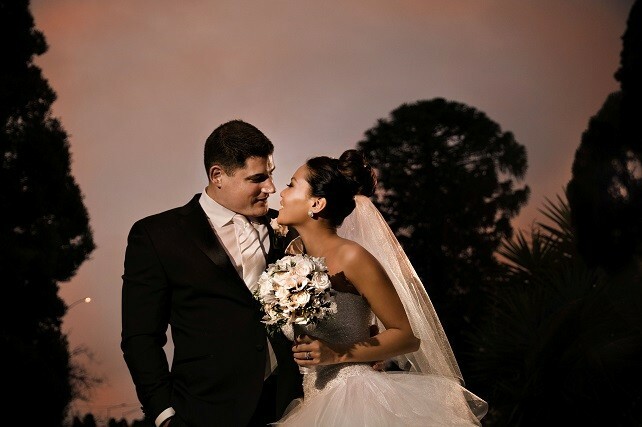 This is one of the most intimate, romantic wedding ceremonies you can plan! Use the rain as a backdrop –– You can get inside and out of the rain, but you can include the falling raindrops in your wedding photos. Have the ceremony by the open door or under the eaves of the roof, where the rain is always in the background. It makes for one heck of a backdrop and epic wedding photos! Wait for the rainbow — After the rain there always comes a rainbow! If you can delay the ceremony until the rain has stopped falling, the rainbow in the background will be a wonderful addition to your wedding photos. Marry in a wet world — You don’t have to get wet by holding the ceremony in the rain, but head out into the open sky the minute the last raindrop falls. Your world will be soaking wet and everything will have a fresh, green look. If you’re getting married in the middle of nature, this will make all of the colours come alive and appear much more vivid! Don’t let a bit of rain spoil your wedding day. Sure, it can be a hassle and annoyance, but that’s part of life. You can still take some pretty amazing wedding photos either in or out of the rain and you’ll find that you can use the rain to your advantage. Definitely the way to go if you want to have that picture perfect wedding! They do say rain on your wedding day is good luck for your future marriage!